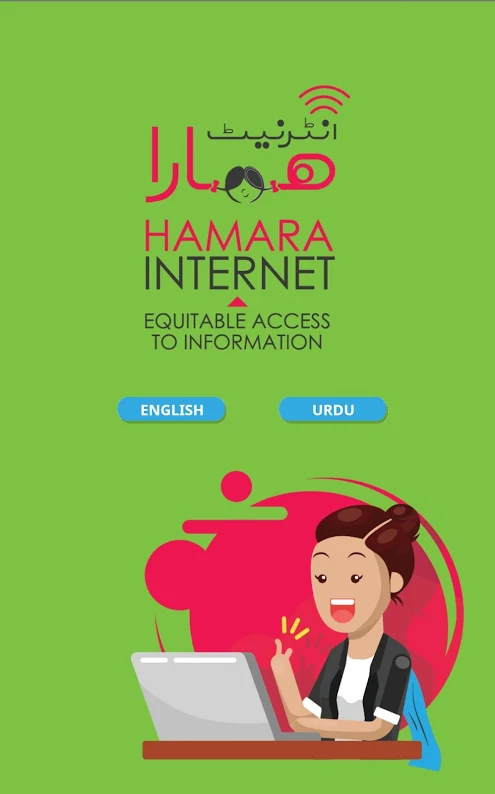 Digital Rights Foundation released it’s one-of-a-kind app, “Hamara Internet”. 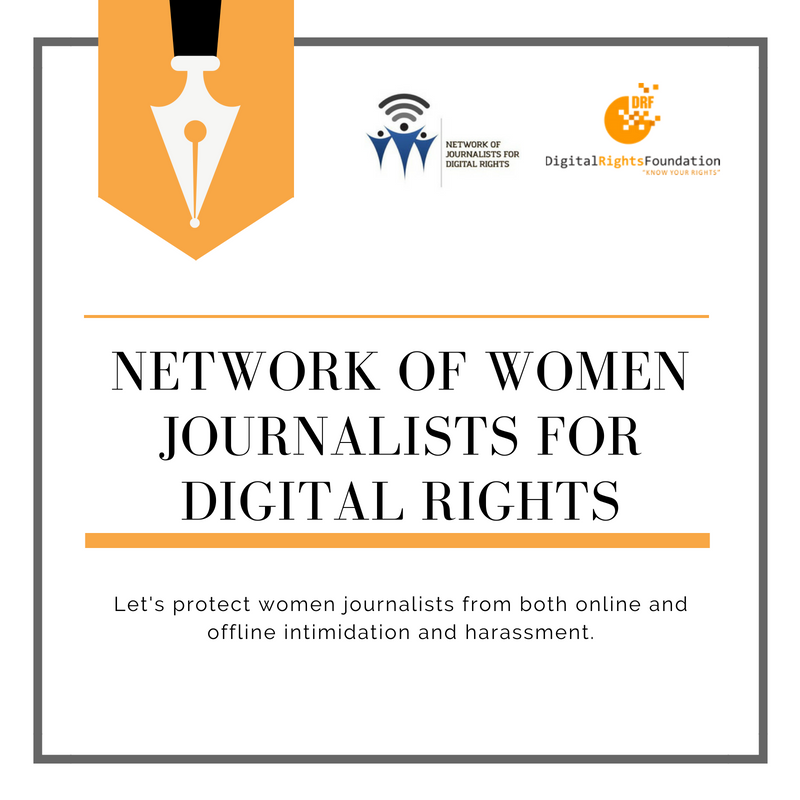 The purpose that the Digital Rights Foundation envisions for this application is to create awareness regarding cyber harassment and educate individuals regarding the law and the precautionary measures they can opt for in case they encounter cyber harassment. The application provides tips and tidbits for online safety to its users and also provides a directory for relevant personnel and contact information of LEAs and organisations such as the FIA, PTA, PCSW and any other relevant resources available for the public. Click here for the link to the application. If the 2013 elections introduced digital spaces to the electorate, the 2018 elections were the year digital devices and social media campaigning were at the forefront of electioneering. 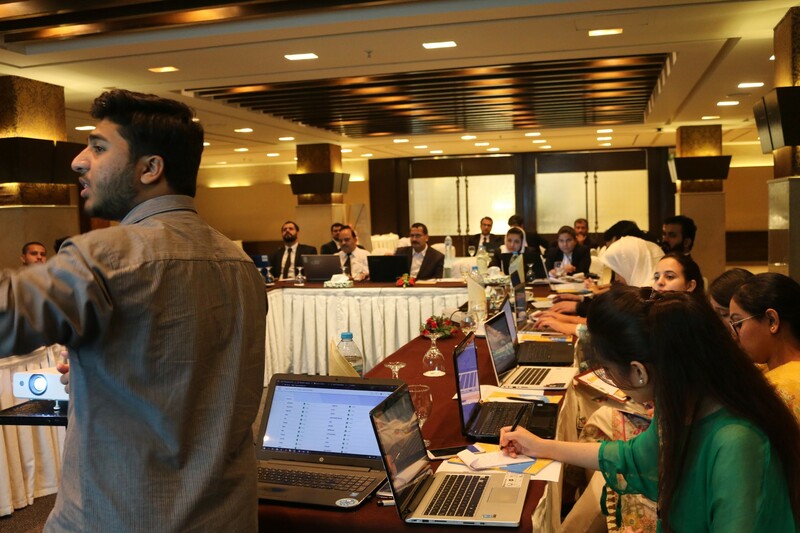 The team at Digital Rights Foundation was working hard to track issues of technologies in the elections, from use of technologies by the Election Commission of Pakistan (ECP) to the use of social media by political parties. Watch this space as DRF completes its comprehensive report on elections, gender and the internet. 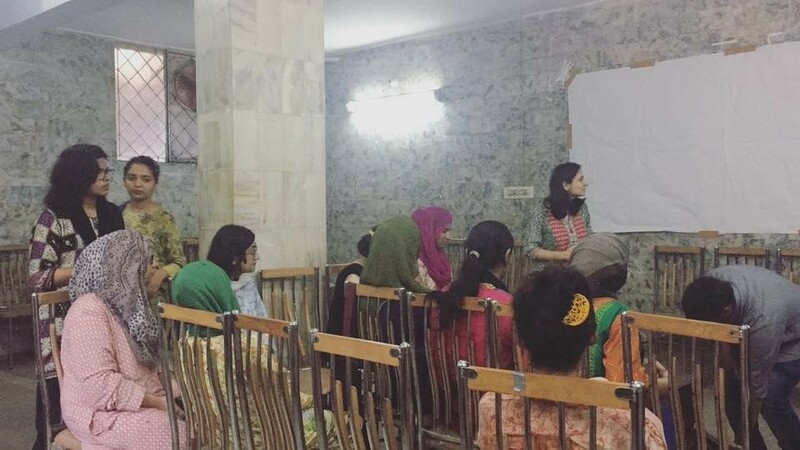 This election season DRF along with its partners Trust for Democratic Education and Accountability conducted a series of 5 sessions with women from varied cross-sections of our society, especially those from the working class. The sessions were conducted with domestic and factory workers from Kot Lakhpat, Youhanabad, Ahmed Town, Defence and Sundar Industrial Estate. The session covered the processes of CNIC registration, vote registration and the need and importance of voting as well as a general overview of why elections are required in the first place. More than 100 women received these awareness raising sessions. 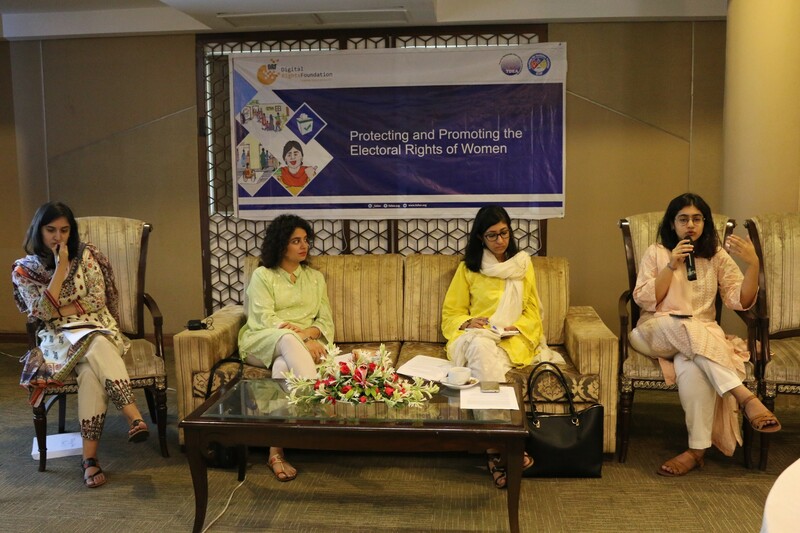 Digital Rights Foundation, along with its partner Trust for Democratic Education and Accountability, held a seminar in Lahore on ‘Protecting and Promoting the Electoral Rights of Women’ on the 21st of July 2018. 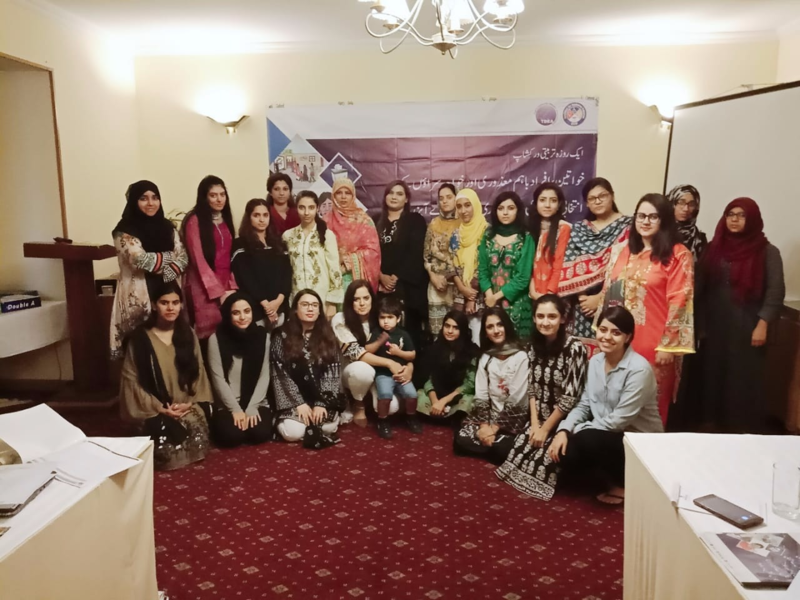 The seminars focus was to promote women’s participation in the upcoming general elections and also discuss the challenges women face in politics in Pakistan. Fake news and its impact on hate speech and freedom of expression were also discussed in detail in the seminar in their relation to the electoral process. DRF and its partner Trust for Democratic Education and Accountability handpicked 25 women observers to observe the general elections of 2018 in terms of inclusivity for women, people with disability and transgender people. DRF covered polling stations in nine constituencies in total which were NA 135, NA 134, NA 133, NA 132, NA 131, NA 130, NA 129, NA 126 and NA 125. The observers observed 25 polling stations and the entire polling station from 8 am till 6 pm in which they also saw the proceedings of the political parties and also interviewed voters. Read more..
DRF with its partner Trust for Democratic Education and Accountability attended 16 corner meetings/jalsas/rallies of different political parties of the country. The team observed the campaigning process of 8 women candidates and 8 national assembly candidates to see how inclusive these public spaces and these meetings are for women. 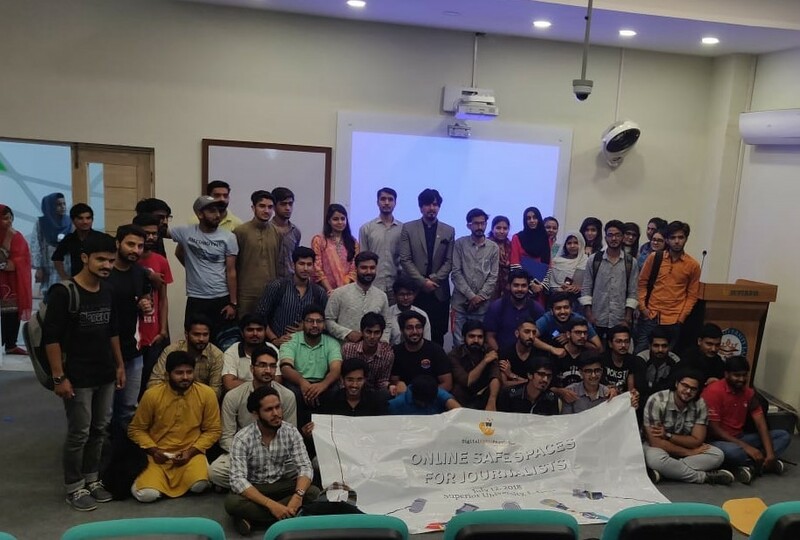 As July was the month the General Elections of Pakistan were scheduled, Network members wrote extensively on the issues faced by politicians on digital media, online harassment of women journalists, the use of social media platforms for election campaigning and the freedom of speech vs hate speech conundrum. 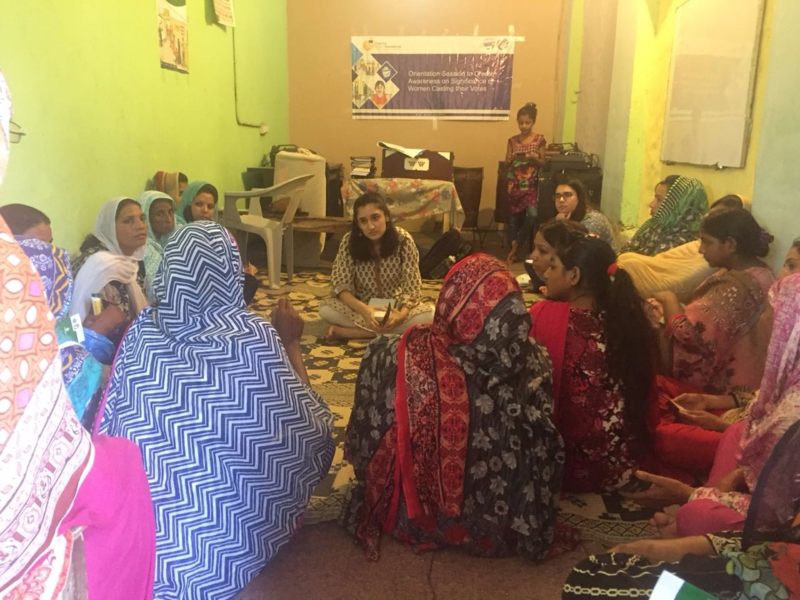 DRF was invited to be part of the Women's Collective Summer Internship Program 2018. The DRF team delivered a workshop on digital security and safety with reference to issues of harassment and online participation. 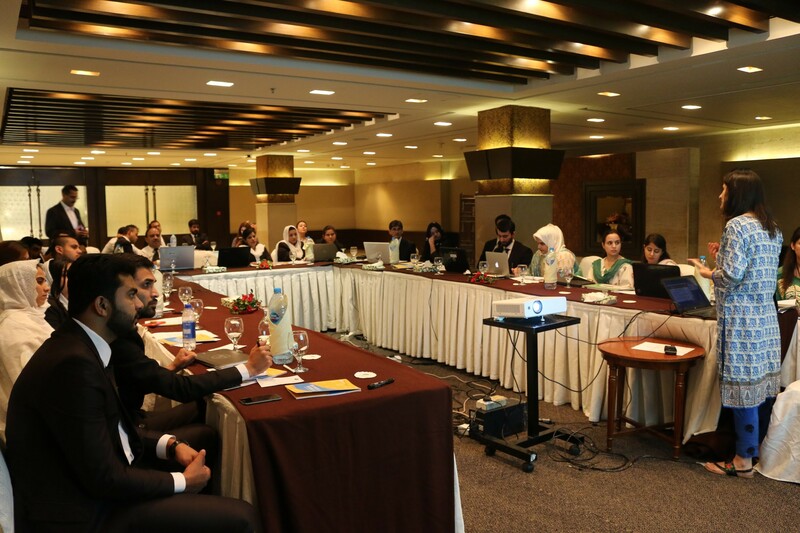 On July 4th 2018, DRF conducted a workshop which was held for Lawyers in Lahore, focusing on creating awareness about the legal landscape that governs digital platforms. 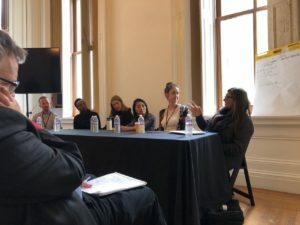 Around 34 lawyers attended the comprehensive training session, where specifically designed toolkits was given to lawyers to guide them on how they can make online spaces safe for themselves by adopting various tools and resources available to them. 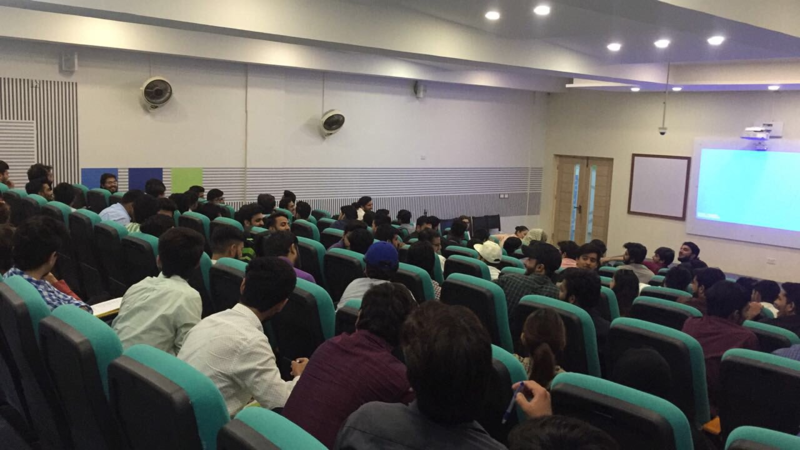 DRF held a session at Superior University with students of Mass Communication on July 12th 2018. Around 65 students attended the awareness raising session where they were encouraged to keep themselves secure online. 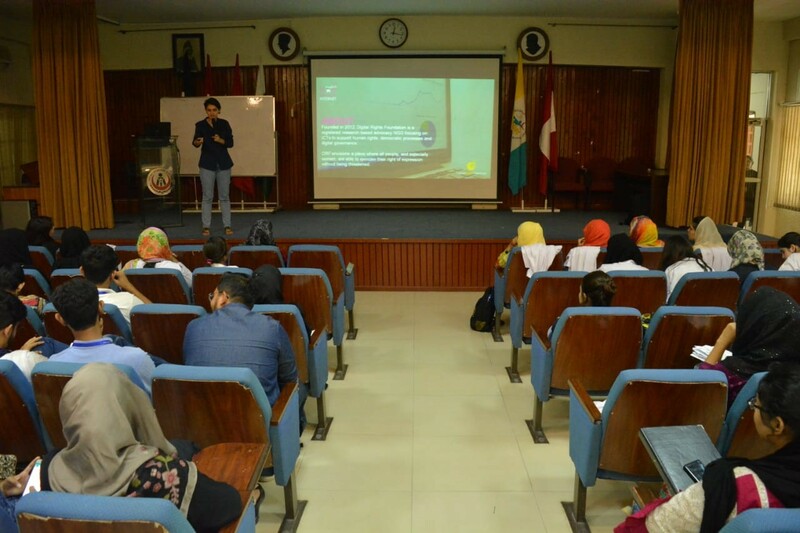 In the second half of the session they were given digital security training and were also provided with CDs, which included security toolkits and a guidebook on digital security. DRF conducted a workshop on harassment, digital rights, gender and online feminisms at FMH College of Medicine & Dentistry for students on 26th July 2018. The discussion was participatory and rich in nature, with students bringing up issues of contemporary feminism. DRF along with it’s partners FNF conducted a session on data protection and privacy titled, ‘Our Right to Safe Online Spaces’ in Superior University with 129 students. The session focused on the need of a data protection law in Pakistan and how to tackle cyber harassment according to the existing legislation in the country. Digital Rights Foundation translated the Freedom on the Net 2017 (FOTN 2017) report in Urdu for wider readership. The translated report can be found here [PDF]. This translation of FOTN2017 was possible with the support of vpnMentor. VpnMentor was created in order to offer users a really honest, committed and helpful tool when navigating VPNs and web privacy. With support from the Cyberlaw Clinic, DRF submitted a policy brief to the Ministry of Information Technology and Telecommunication while the initial drafting of the Personal Data Protection Bill was underway. The blog explains the importance of the bill and that through engagement with various stakeholders, there is hope of having an even more effective piece of legislation. Our ED Nighat Dad spoke at the the ‘Decentralized Web Summit’ at the panel titled "Stories from the Field—A View of the Internet from the Global South" where she talked about the impact of the first of it’s kind cyber harassment helpline and the implications of cyber harassment on women in Pakistan. Hivos, an organization inspired by humanist values and founded in 1968, featured DRF’s Executive Director, Nighat Dad’s interview on their website. Ms. Dad talked about DRF’s work and the journey that led to the formation of this organization. She also shared the online security tips she uses to stay away from the trolls. To read the full story follow the link. In a report, “Online harassment of journalists: the trolls attack”, Reporters sans frontières / Reporters Without Borders / RSF voices concern about the scale of a new threat to press freedom, the mass harassment of journalists online. To read more about the cyber harassment helpline and the findings of the report follow the link.